The remorse shown in a letter to the judge who will sentence him is a turnaround for Martin Shkreli, who was dubbed the most-hated man in America after raising the price of a life-saving drug by 5,000 percent. It’s a turnaround for Shkreli, who was dubbed the most-hated-man in America after raising the price of a life-saving drug by 5,000 percent. He blasted members of a congressional panel who had quizzed him about the price hike, calling them “imbeciles” on Twitter. U.S. District Judge Kiyo Matsumoto in Brooklyn, New York, concluded Feb. 26 that Shkreli — a former hedge fund manager turned pharmaceutical executive — caused investors to lose more than $10.4 million, rejecting his claim he made them money. He was convicted in August of three counts of securities fraud related to his operation of two hedge funds and a drug company he founded, Retrophin. His lawyers said the judge’s decision means Shkreli could face more than 30 years in prison, arguing it’s a term he doesn’t deserve. Noting sentencing guidelines are only advisory, defense lawyer Ben Brafman asked that Shkreli get 12 to 18 months and community service. He acknowledged that he’d “dodged” questions posed by his investors or gave answers “that were only correct if put in a certain assumed context.” He described himself as an “irreverent and freewheeling individual” whose comments and actions didn’t reflect his true nature. Matsumoto ordered Shkreli jailed in September after he issued a bounty on social media for a sample of former Secretary of State Hillary Clinton’s hair. Prosecutors have argued Shkreli should forfeit $7.4 million that he wouldn’t have had if he hadn’t committed the crimes. They are scheduled to make their sentencing recommendation Monday. 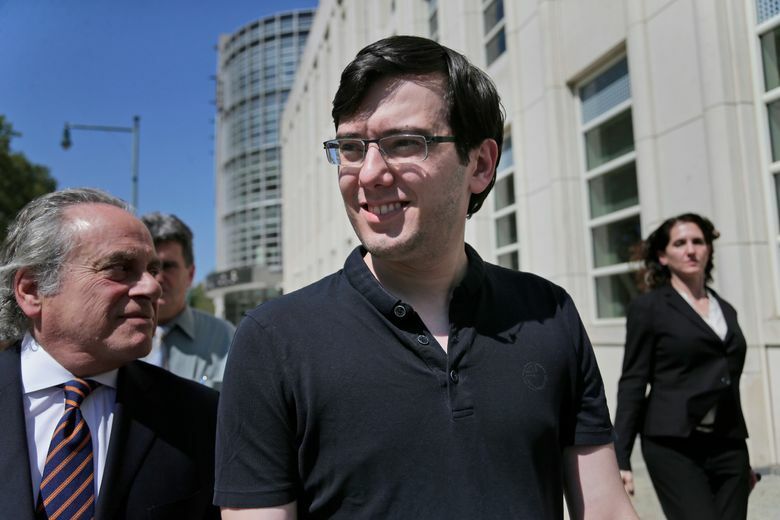 Prison consultant Joel Sickler said in court papers that while Shkreli would ordinarily be eligible to serve in a minimum-security federal camp, officials will instead place him in a higher-security facility because of his threat against Clinton. The threat to a government official should be waived, and Shkreli should be allowed to serve in a low-security, or camp, setting, Sickler said.